Finding good meme generator apps can be hard. There are a ton of them out there and most of them are pretty bad. Memes are awesome things that are useful and hilarious everywhere which means you should have a good meme generator app to help out. Please note that these things pop up and go down all the time. The ones on the list should be around for a while, though! 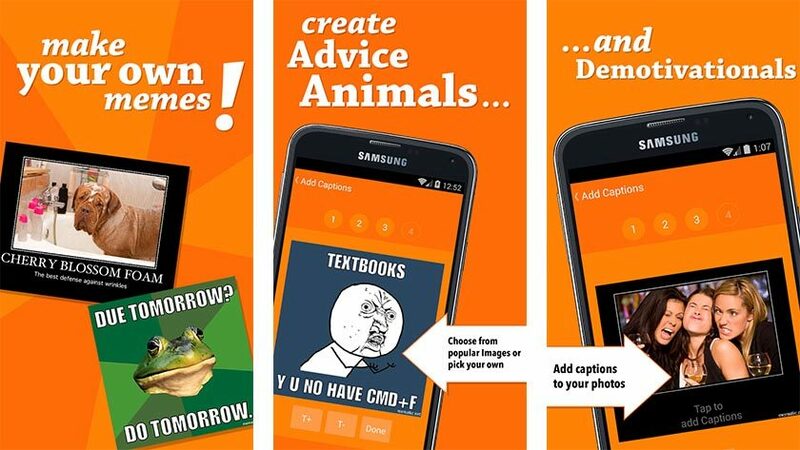 Check out the best meme generator apps for Android! Here are some more app lists you might enjoy! GATM Meme Generator is one of the few good meme generator apps with semi-frequent updates. It includes a gallery of images or you can bring your own images to meme. The app also comes with no watermark, relatively recent meme templates, and relatively decent stability. It undergoes the occasional redesign, but most of its functionality remains intact. The free version contains ads. The pro version goes for $1.95 and removes ads. You can generate a lot of good memes with this one and it's been around for a while. Mematic is a decent meme generator. Like most, it contains a library of meme templates that include most of the classics and some recent memes as well. You can bring your own photos and create memes from them if you so choose. That also helps shore up any deficiencies in Mematic's meme library. This one has a simple UI. It should be easy enough to use for most people. There is nothing really wrong with this one outside of the occasional bug. The app is totally free with no in-app purchases. However, there are ads with no way to remove them. We would've preferred a pro option for that. Memedroid is one of the older meme generator apps. It features the usual stuff. You'll find a bunch of old and new memes ripe for generating. You can also upload your own photos and GIFs and caption those as well. In other words, it does the basics for what makes a good meme generator app. There aren't a lot of extra features. In this case, that's good because it lets you just surf memes and then make your own. There are some obnoxious ads and the app does crash from time to time. Other than that, it's pretty good. ZomboDroid's meme generator is probably the best of the meme generator apps for a variety of reasons. For starters, it has a paid version with no ads. That's already refreshing. It also features over 1,000 meme templates, the ability to make your own memes, a decent search, categories, frequent updates with newer memes, and more. They also have an old version for older Samsung devices due to an unfixable bug. It's one of the more stable options. This developer also has a video and GIF meme app as well as a meme soundboard in case you want to surf other types of media memes. Tumblr, iFunny, and Giphy are three popular apps that represent a unique style of meme generator. They all do different things first. Tumblr is a blog site that used to be fun before its NSFW ban, iFunny is a comedy app for wasting time while surfing other memes, and Giphy is a repository for GIFs. However, all three of these apps also include functionality to generate various types of memes. Tumblr and iFunny deal mainly with still image memes and you have to bring your own images to meme. Giphy deals exclusively in the GIF format, but you can upload your own and add captions, thus creating your own meme. It's nice to see apps starting to include this type of functionality by default. There are a bunch of meme generator websites. You can find them easily with a quick search. Thankfully, we live in the modern era of mobile technology and most of those sites work fine on a mobile browser. This is the preferred solution for those who just want to make the occasional meme without a dedicated app. A meme app may work better for those who do up memes frequently. In any case, the browser generally doesn't matter. It should work with most of them. You simply find one of the popular websites like ImgFlip, MemeGenerator.net, KapWing, MakeAMeme, etc and go from there. We have a list of the best browser apps for Android linked at the button above if you're looking for one! Thank you for reading! Here are some final recommendations for you. 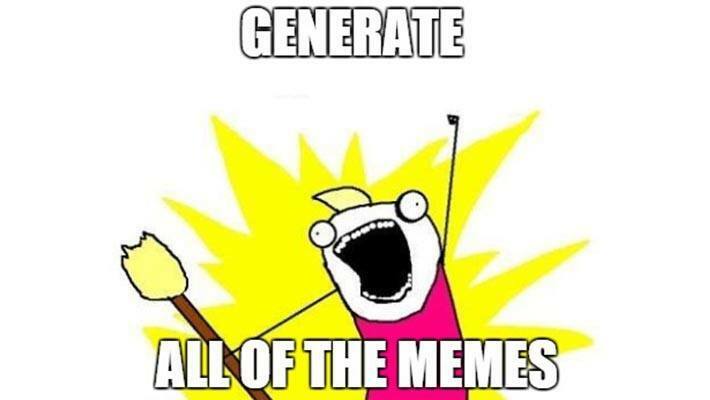 If we missed any of the best meme generator apps for Android, tell us about them in the comments! You can also click here to check out our latest Android app and game lists!